Domestic surge arrestors are not mandatory, so why are so many people now fitting them? The reason is money. The cost of a domestic surge arrestor such as our SY2-D is negligible compared with buying a new TV or replacing the electrical items in your house. Do a quick mental calculation of how much your electrical items are worth, your TV, washing machine, cooker, fridge and not forgetting all of the things you plug in to charge, such as phones, tablets and laptops. Now you can see how that bill would quickly mount up if your home was effected by surges. Surges occur in every electrical system, they can come from your mains power, turning lights on or turning on large electrical items (such as a washing machine). Unlike lightning damage, Surge damage isn’t as easily seen, it won’t be anything dramatic like blowing up or setting on fire as can occur with lightning damage. Surges just slowly degrade all of the electrical components in your electrical system, which will shorten the life span of your electrical items. A TV that should last 5 years could only potentially last 2 years, if it’s seeing continuous surges. Many people say “I don’t need to worry about surges, I use those surge protection trailing leads”. The problem with using these trailing leads as your only form of surge protection is that you don’t plug everything in to them, even the most safety conscious person would not think of plugging their washing machine or fridge through a trailing lead. When you start looking at how many of these trailing leads you would need to protect your whole house, can you imagine how much that would cost? Obviously it would be less than replacing all of your electrical goods, but still expensive, especially when you consider that the majority of surge protection trailing leads sold have little or no information on how they actually work or whether they comply with any sort of standards or regulations. 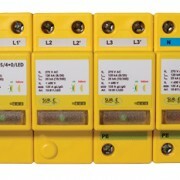 The most efficient and cost effective way to protect a domestic property from surges is a domestic surge arrester. 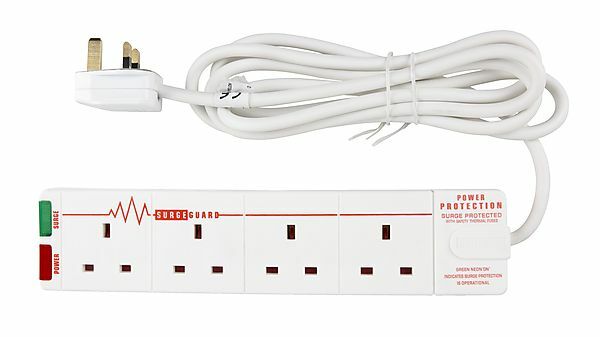 This can be mounted inside (or next to) any consumer unit, its easily wired in with a parallel connection to an adjacent breaker, a connection to the neutral bar and a connection to the earth bar and that’s it, your whole installation is protected from surge’s. At only £56.44 each nett, the SY2-D provide a complete surge protection solution to your domestic installation for a great price! 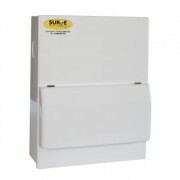 Thanks for taking the time to read this article and if there is anything you need please contact us on 01484851747.
http://www.surgedevices.co.uk/wp-content/uploads/2015/11/SY2DLED-surge-protection-device-e1469539140814.jpg 100 100 sarah /wp-content/uploads/2015/11/Surge-logo2-1030x351.jpg sarah2016-03-07 09:00:532016-03-07 13:22:47Why should you fit a surge arrester in your home? It was lovely to see so many familiar faces at the Elex Exhibitions last year. We will be exhibiting again this year at Exeter on 21st and 22nd April, at Harrogate on 23rd and 24th June and at Sandown park on 3rd and 4th November. So pop along to our stand and say hi. 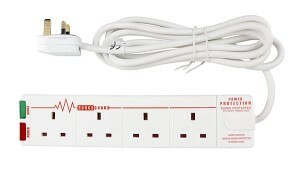 The first 10 people onto our stand each day will recieve a FREE domestic Surge arrester worth over £70! We can now supply your favourite products in metal enclosures. It’s been long overdue but I hope you’ll agree that our new website looks fantastic. 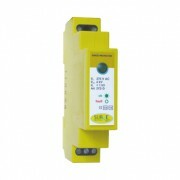 There are new sections on how to choose a Surge Protection Device, a News & Events section and an updated project list. You can now also shop direct from our website! http://www.surgedevices.co.uk/wp-content/uploads/2015/11/surge-favicon-1.jpg 698 699 sarah /wp-content/uploads/2015/11/Surge-logo2-1030x351.jpg sarah2015-11-25 14:12:002016-01-20 08:41:09New website now live!